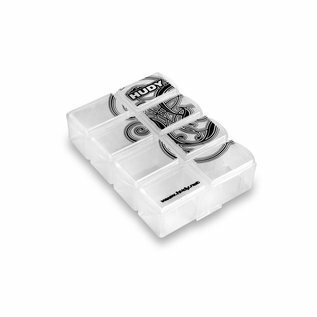 Very handy and useful stackable box for tiny parts storage. 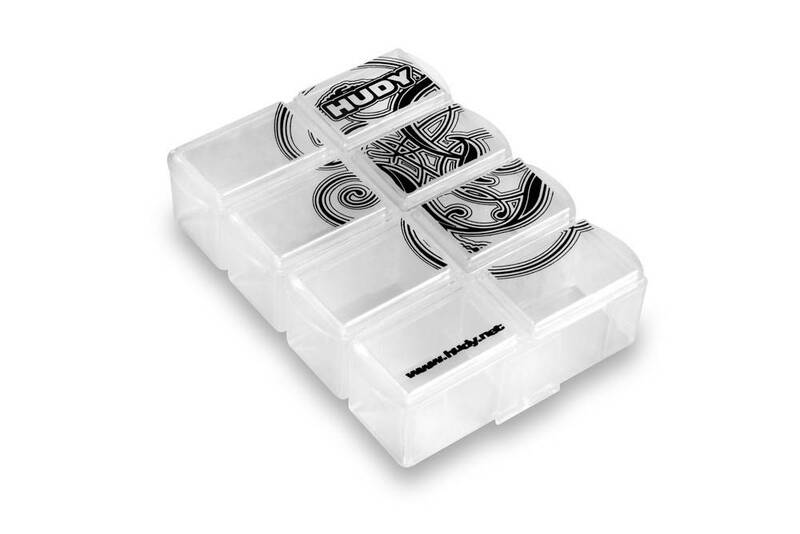 Tough, durable, translucent plastic box has 8 compartments, each with a separate latching cover. The box has 4 separate double-compartment boxes which can be easily attached or detached, and as such any combination of the box compartments can be easily created. Easy, quick-access storage for small parts. High-quality HUDY graphics. Dimensions: 97 x 69mm (3.8’’x2.8’’).